Based on the concept of the traditional Chinese lantern, Chimera’s line of Lanterns are a great modern-day solution for omni-directional soft lighting. 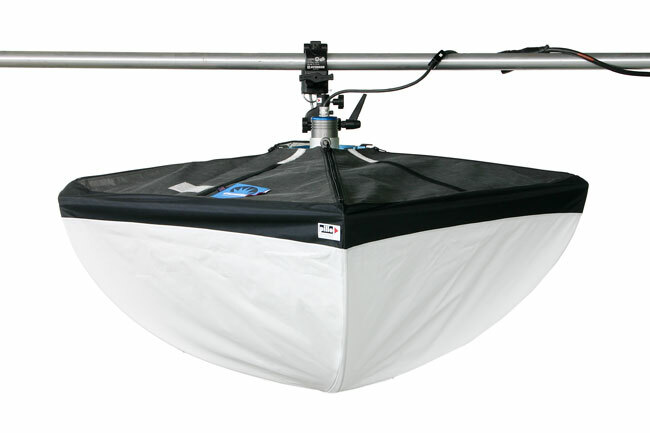 The Chimera Pancake Lantern is the most space efficient solution when you want central soft light for roundtable interviews, or need to fill interior shooting spaces with soft, ambient light. It’s unique, removable zipper panel skirt is adjustable, allowing you to fine-tune light fall-off. And it’s available in small, medium and large sizes, so there’s always a perfect fit in any situation. No wonder videographers, broadcast and film lighting specialists love them! Our Pancake Lanterns can be set up on any Video PRO or Strobe Speed Ring. For maximum omni-directional effectiveness, use it on a “bare bulb” type lighting instrument. Velcro® attached skirts can be used to selectively block light. Available Light also carries the Triolet Mogul Base for the Chimera Pancake Lanterns, which we can send with a 500W, 1000W or 2000W bulb.